www.jcp.com/christmas or christmas.jcpenney.com – JCPenney store starts holiday season with some promotional buttons and seems to be giving christmas gifts sooner this year. Indeed, in a JCP news release on the department store website there is a countdown about the release of a fantastic marketing promotion sweepstakes called JCPenney 80 Million Buttons Giveaway. There are many ways to enter the promotion: by visiting these website addresses http www.jcp.com/christmas or http christmas.jcpenney.com or on www.facebook.com by doing a search for JCP Facebook Page, then you have to register your button for a chance to win fantastic giveaway prizes from jcpenney.com “Starting Black Friday, they’re giving away over 80 million little buttons, each with a chance to win big.” Another amazing promotion from your favorite department stores in America. So there is still a great mystery surrounding this marketing promotion. Starting on BlackFriday November 23, 2012 a great promotion involving JCP Buttons Giveaway and a chance to win big big prizes. What i’ve heard from now is that there will be Over 80 million FREE little buttons giveaway plus each with a chance to win big at www.Jcpenney.com. Good Luck and Happy Holidays! Update: How to enter – Your little button could be a big winner! 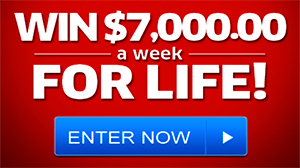 Just flip it over, find the 7-digit code and enter button code to see if you’ve won. Need a button? They’re free! Just visit your nearest JCPenney Store to get a button. Once on their website you must enter your 7-digit number and then follow the on-screen instructions to register. I would like to be one of the prize winner. i won ten dollar certificate…. I too have shopped here all my life..put these button nos. in..like 4 times each..and only one said I didnt win anything.all the others said..invalid,,not put in rite..how many times to i have to put it in? Ican”t seem to see if I have won anything. when I put my 7 digit code in it says “there is mistake please check the number and try agine” I have several times. What else can I do? mis compras en jcp son las mejores,ahi encuentro lo que me gusta…. Have you heard about JCP ad offends moms because of Ellen DeGeneres commercial. What you guys think about that? es mi tienda preferida y se la recomiendo a todo el mundo, es la mejor. Mejores compras a precios muy buenos. This is really strange. Maybe try to reach JCP help center and talk about it. JCP buttons must have 7 digit numbers. i could update my clothes with that jcp/christmas. Great and fast service on black Friday at Meadows Mall Pennys. jcp donde se encuentran buenos especial y de gran garantia.